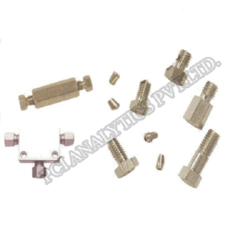 Offering you a complete choice of products which include tube cutters, ss tubing, nucleosil hplc column, ss fittings for hplc, syringe filter and mobile phase filter. 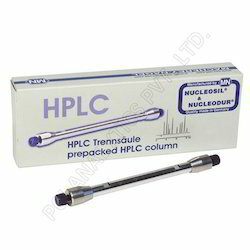 We are the leading and prominent Manufacturer and Supplier of Nucleosil HPLC Column. 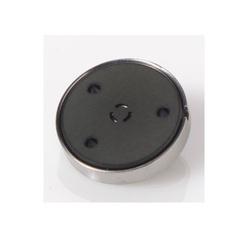 We are the leading and prominent Manufacturer and Supplier of Mobile Phase Filter. 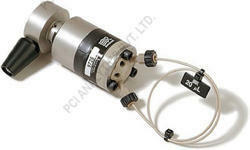 We deals in Rheodyne Injector. 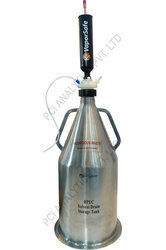 Pconlab Waste Manifolds contain and adsorb hazardous solvent vapours and connect the LC system safely to the organic solvent waste container, creating a completely closed solution. The Activated carbon filter adsorbs hazardous solvent vapors. A breakthrough indicator shows when carbon filter is fully loaded and need to be replaced. 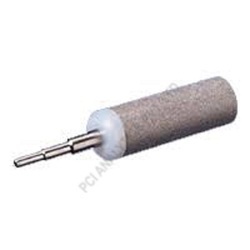 We deals in Column End Plug. 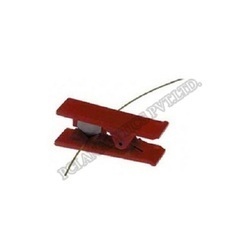 We are the leading and prominent Manufacturer and Supplier of Rheodyne Rotor Seal. 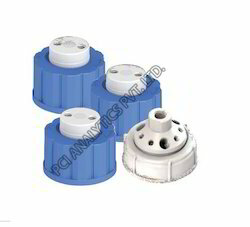 We deals in HPLC Filtration Kit. 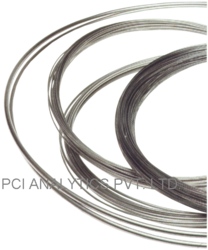 PCI Analytics is one of the leading companies for chromatography products, presents its Reversed Phase Application Guide. The 160-page publication includes an introduction to the theoretical aspects of HPLC, a lot of information about modern stationary phases, retention, selectivity and mobile phases. Aside 150 up-to-date and relevant applications the special chapters Do´s and Don´ts and trouble-shooting provide a lot of helpful hints and tips for a successful chromatography. 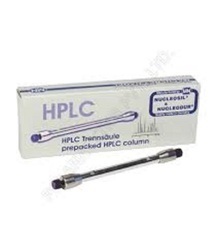 A special section explains basic aspects and demands of preparative HPLC. 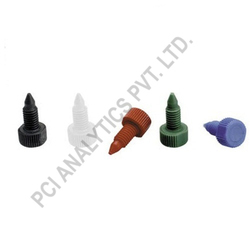 measuring flasks, scintillation vials, autosampler vials, plastic vials etc. 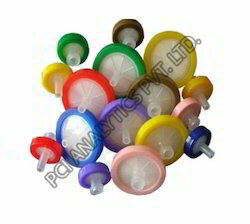 Looking for HPLC Consumables ?